Ralphetta Aker is the Fiscal & Operational Support Manager for Orange County Public Works Department. She has almost 20 years of service with Public Works, beginning her career as an Employee Relations Analyst. Ralphetta grew up in rural Georgia, her mother a school teacher and her father a teacher and a pastor. She completed her undergraduate degree at Mary Baldwin College, holds a Master’s Degree in Public Administration from UCF, and a Juris Doctorate from Florida A&M University. Ralphetta is a Ruling Elder at Washington Shores Presbyterian Church which she gives much of her volunteer time working with members and the church youth. She has been a board member for the Central Florida Women’s Resource Center since 1995, serving as president and continuing to serve on the event planning committee. Ralphetta is a 1999-2000 YMCA Adult Black Achiever. 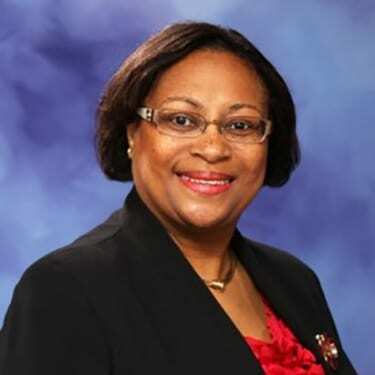 In addition she has served as Past President of the Mid-Florida Chapter of the National Forum for Black Public Administrators and Past President of the Central Florida Chapter of American Society for Public Administration. Ralphetta finds it a joy to work with the education and betterment of adults in the central Florida community through the Adult Literacy League.